This outfit consists of a t- sirt, skirt ,stockings and hat. 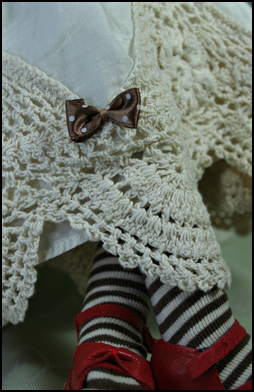 The lined skirt is cotton with lace crocheted trim at the hemline and ribbon bows for accents. 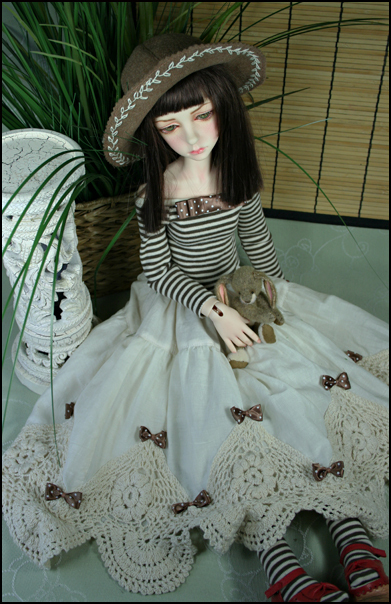 The t-shirt and stocking are stretch knit cotton with ribbon trim. The felt hat tops it off. Included: skirt, t-shirt. hat and stockings.